I have officially started as a first year at the University of Edinburgh! 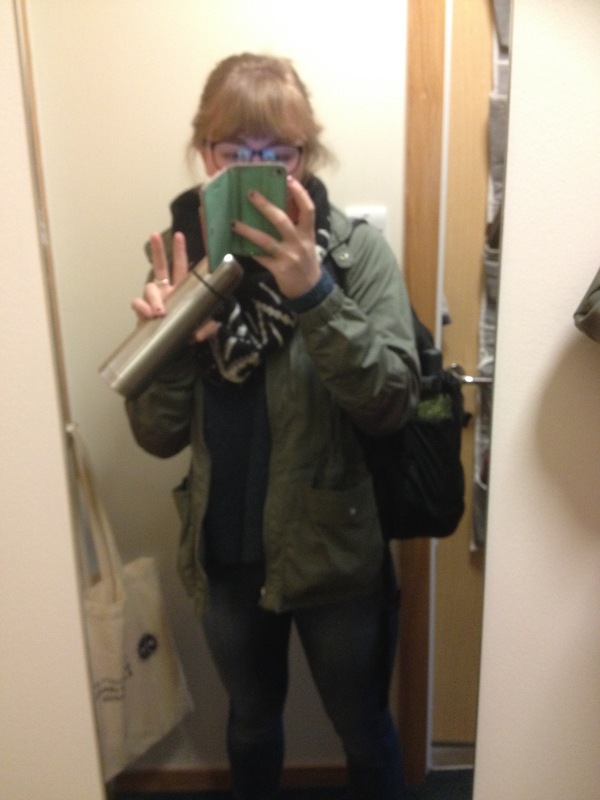 Leaving my dorm this morning ready for my first lecture and the downpour outside. I had a pretty busy day today with all three of my class lectures. My first lecture was at 10:00 AM – British Social History 1650-1880. It was raining pretty hard this morning when I was walking to class. I figured this was a fitting welcome to starting University in rainy Scotland. For the class, I was a little worried that I wouldn’t enjoy it as much because I’m not super into the 18th century, but once the lecture started it actually sounded really neat. The course will focus on the everyday people of the 18th century and not so much on the political and economic histories. We will study how people lived and worked, treating them like real people instead of just a list of dates and names. Which is a good change for a history class! For assignments, we have a short write up, an essay, and the final in December. Not a lot of graded work but A LOT of reading! My next lecture wasn’t until 2:10, so I ran home quickly to pick up my parcels from reception. 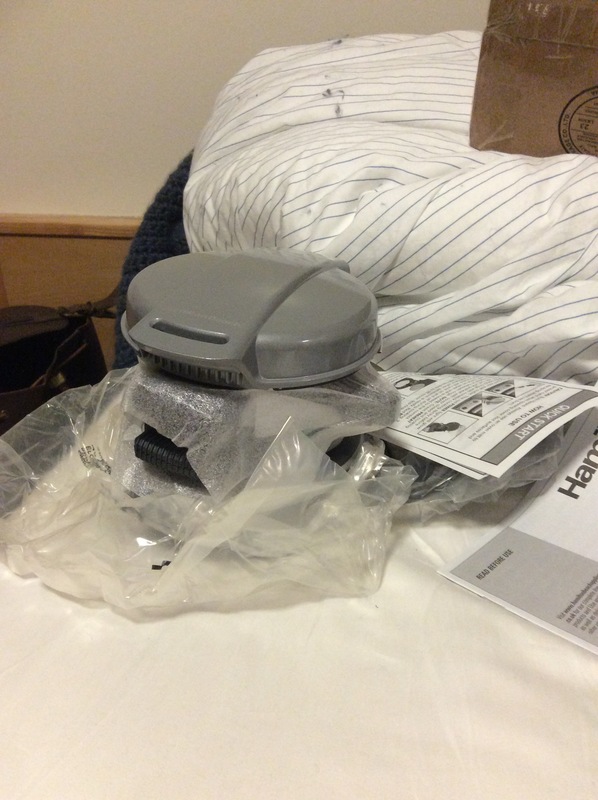 My parents are honestly the coolest and sent me a new raincoat and the holiest of holies… the breakfast sandwich maker. bow down to your lord and saviour, the breakfast sandwich maker. I don’t have any eggs yet or round muffins, so I need to stop at CO-OP Foods tomorrow and get some, but then it is breakfast sandwiches all day every day. 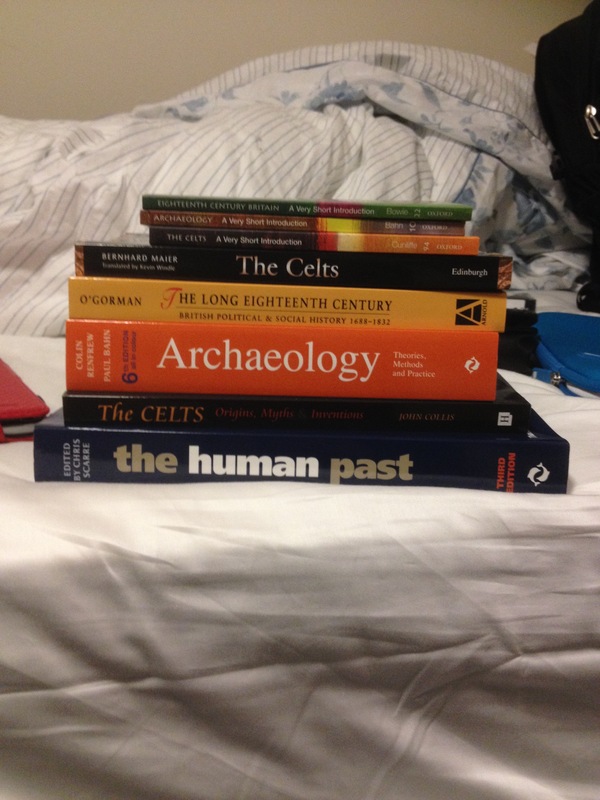 At 2:10, I had my Celtic Civilisation class. I am super excited for this one. We are going to explore the history and identity of the ancient Celts and how that was or was not shaped by outside historians like the Romans. Last year in Latin we read Caesar’s Gallic Wars, in it Caesar writes about the Celts. But Caesar being a typical Roman puts a bit of bias on the culture and identity of the Celtic peoples. And because so much of the history we have of the Celts is written by outsiders like the Romans, it is often hard to truly distinguish fact from fiction. Neat-o. That lecture ended at 3:00 PM and from there I had to run across campus to get to my Archaeology 1A lecture. I am beyond thrilled to finally be in an archaeology class. This class will mostly cover the basic techniques of archaeology and devel in the origin of the Human Species. After all my lectures had finished for the day, I went to Blackwells Bookstore to get my textbooks. Blackwells is a huge three story bookstore right across the street from Old College. A lot of the reading material is available online, but many of my professors still recommended buying hard copies of the textbooks to have for reference. I’m also a bibliophile and a bit of a luddite when it comes to my studies. Overall it was a great day and I am so glad to finally be starting classes. All my classes have HUGE reading lists and not a lot of the assignments so there is huge pressure for the final… but I trust my writing ability and my study skills so I know I’ll be okay! You lucky girl!! Keep watching the mail!! !